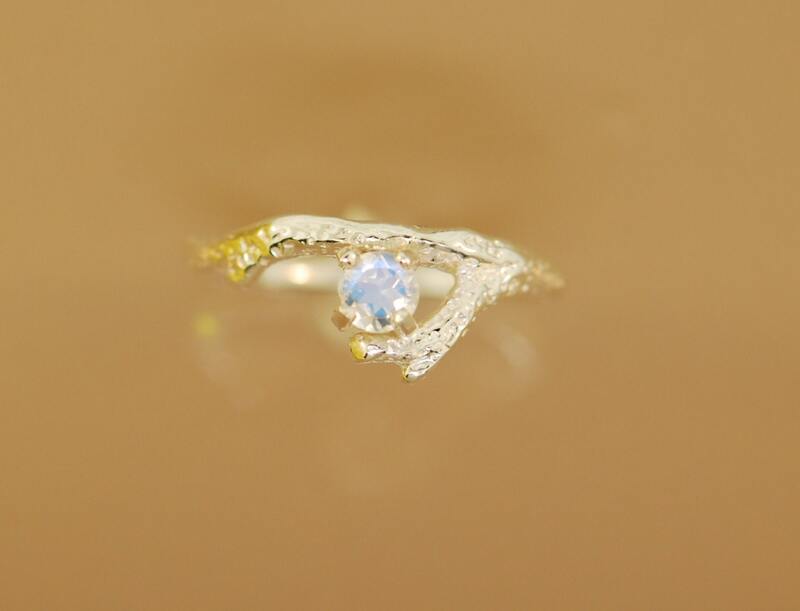 A beautiful 4 mm rainbow faceted moonstone flashes blue color in this coral reef ring. 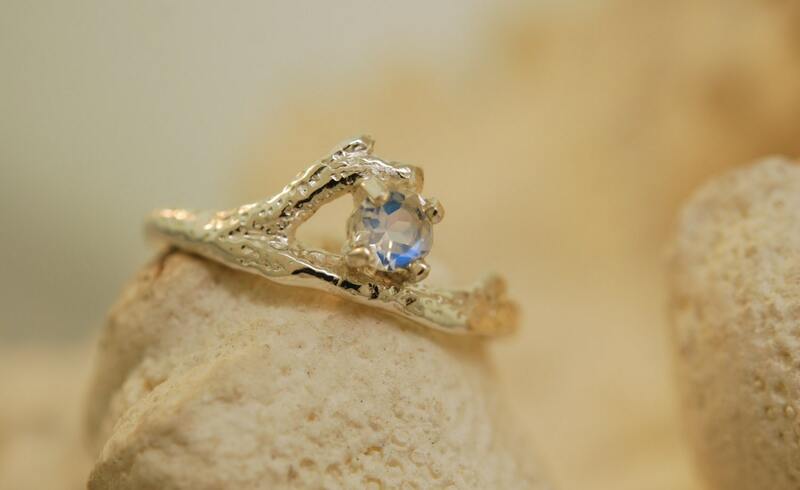 A great ring as the real coral stays in the ocean and its beauty is portrayed on your finger. 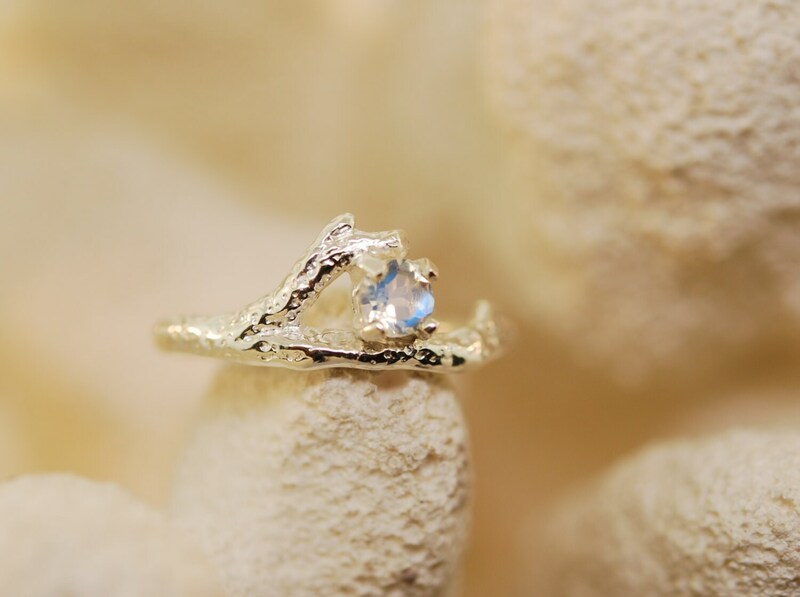 This listing is for one ring with the rainbow moonstone. 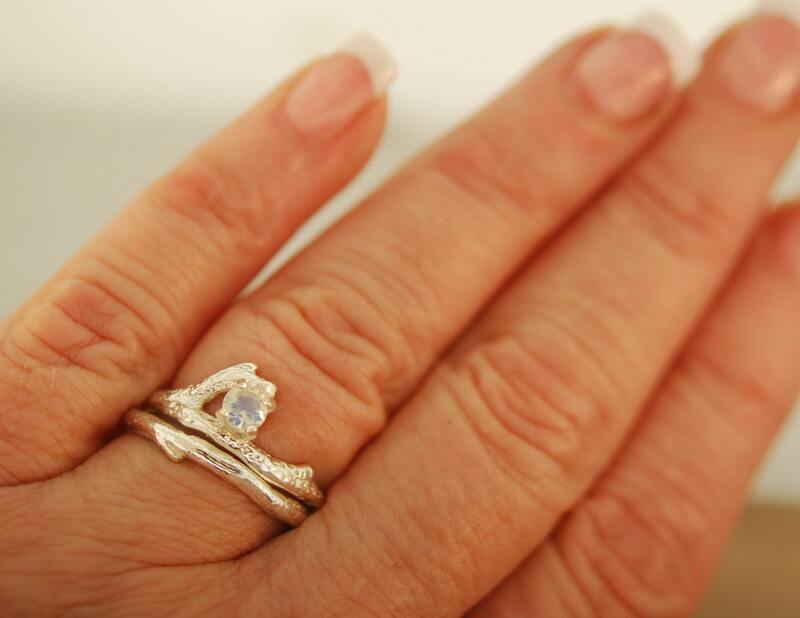 There is a coordinating band that fits snug for those that like to stack or as an alternative wedding ring that can be purchased in my store. I can make with different stones, send me an email with your favorite. 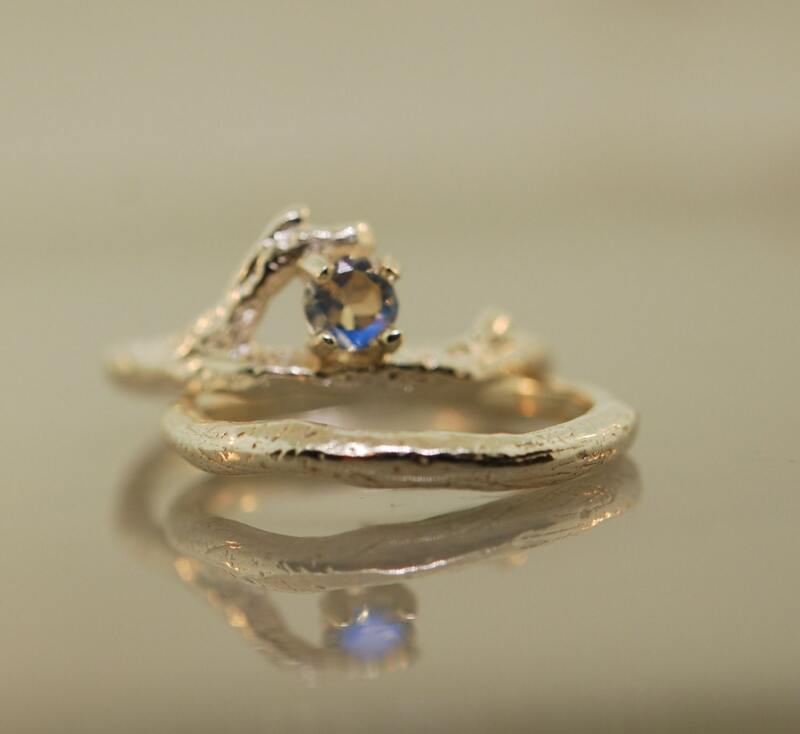 Also this ring makes a great unique engagement ring or what do you have in mind?